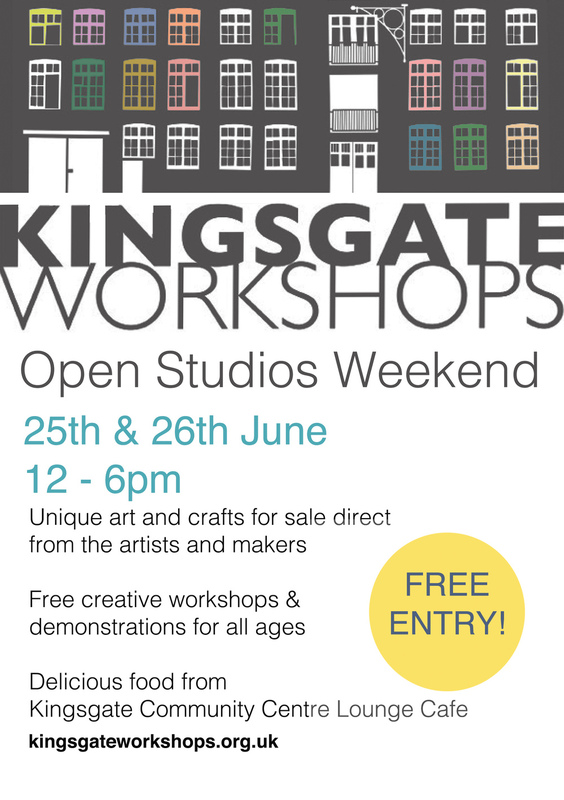 Kingsgate Workshops is opening up again this year for one weekend only, welcoming the local community in to meet its artists and makers. The inhabitants of the studios, ranging from film makers, illustrators, painters and ceramicists, through to glass artists, jewellers, sculptors, and even a wedding dress designer, open their doors to give the public a glimpse of their somewhat mysterious world. The Victorian warehouse building which houses the artists and makers isn't open generally to the public. However, behind its imposing façade over 75 artists and makers are coming to work every day, making it one of the largest centres of employment in the area. The product of all that creativity will also be for sale here, and buying directly from the maker means you support creatively directly at the source. We look forward to see you all on 25th and 26th June from 12 - 6pm at Open Studios Weekend!